Oscar the Bear is getting ready for Christmas. He makes a card, decorations and gifts. 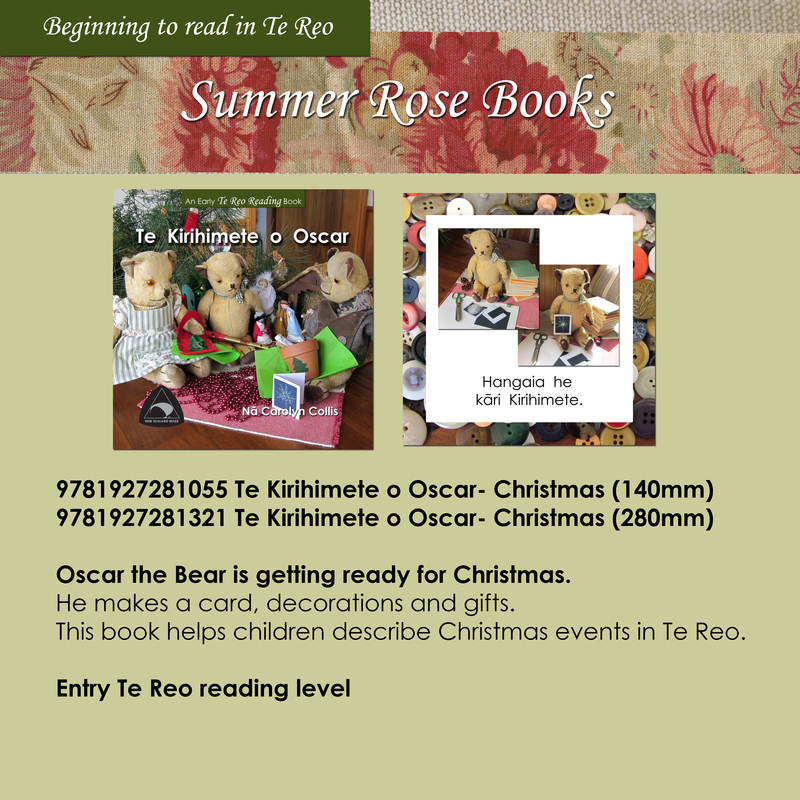 This book helps children describe Christmas events in Te Reo.